CFB Marine Group...You've seen us on Yachtworld and Craigslist and passed by our 3 marina offices. We are looking for quality power and sail listings to sell to motivated buyers. 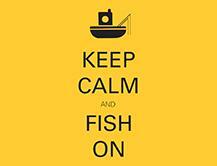 Stop by or call us to discuss how we can help because we are not here to look at your boat we are here to sell it! Welcome to CFB Marine Group, a full service yacht and ship brokerage featuring Tahiti Offshore and Bray Yacht Design and Research Ltd.
Our Brokers and Sales Associates combine years of extensive professional experience in sales, marketing, management, real estate and development with the all-important personal experience of owning, operating, chartering, buying and selling sail and motor yachts. Throughout the years we have been in the boating industry in San Diego we have come to recognize that discerning, selective professional partnerships and cooperative relationships within the marine community are key to the growth and success of our company and our vision. At CFB Marine Group we believe strongly in utilizing these relationships to meet the needs of our clients and to provide responsible guidance and protection throughout the often complicated slipstream of the yachting lifestyle. Whether you are an experienced yachtsman or first time boat owner, at CFB Marine Group our aim is to make the sale or purchase of your vessel thoughtful, practical and pleasurable. CFB Marine Group works co-operatively with our brokerage and industry partners...a skilled and supportive group of professionals. CFB Marine Group has 3 convenient yacht brokerage locations in San Diego at Marina Cortez on Harbor Island, Chula Vista Marina in the South Bay and our newest location at the Kona Kai Resort and Marina with representatives in Puerto Vallart and Nuevo Vallarta, Mexico to service both buyers and sellers! Marlin Club Membership Drive: CFB Marine Group supports The Marlin Club of San Diego and invites all interested anglers to join San Diego's oldest fishing club. Find out about membership at www.themarlinclub.com and join in on the tournament fishing and social events available at this fun local club with it's own certified International Game Fish Association (IGFA) weigh-in station. ASK US ABOUT THE MEMBERSHIP DRIVE AT THE VALLARTA YACHT CLUB in Nuevo Vallarta on beautiful Banderas Bay host to the Wes Mex International Small Boat Regatta, FMV Cup (Federacion Mexicana de Vela), MEXORIC (Mexican Ocean Racing Circuit), Banderas Bay Regatta and the LAZER World Championship. Located at the Paradise Village Marina with wonderful boating, restaurant and social facilities. COME DOWN FOR THE FIRST TIME OR RE-VISIT THE CROWN JEWEL OF THE MEXICAN RIVIERA...PUERTO VALLARTA AT THE VALLARTA YACHT CLUB. Visitors/Non-members are always welcome to enjoy the club's cocktail and dining facilities, wonderful chef, gracious staff and convenient waterfront location at the Paradise Village Marina!